Two weeks ago, my youngest child sat in her high school gym wearing her overpriced, black nylon robe, and joined her classmates in that ritualized ceremony called high school graduation. And in two months, she will pack up way more belongings than she will need, and we will deposit her at her chosen college. And my husband and I will come home alone for the first time in nearly 26 years. I’ve been through this twice before with her older siblings, though both were vastly different experiences, and I know how this will work. At first, it will just seem like she is gone somewhere to visit, maybe to her sister’s apartment, in the same city as her university, or maybe to basketball camp. But after a few weeks, after the cat quits sitting outside the closed bedroom door, meowing loudly, the difference in the house will begin to feel usual, and quiet will be our new normal. I know this will happen. I’ve been expecting it for years, preparing myself for the inevitable. I’ve even tried happily anticipating the lack of wet towels on the bathroom floor, no dirty dishes in the sink. 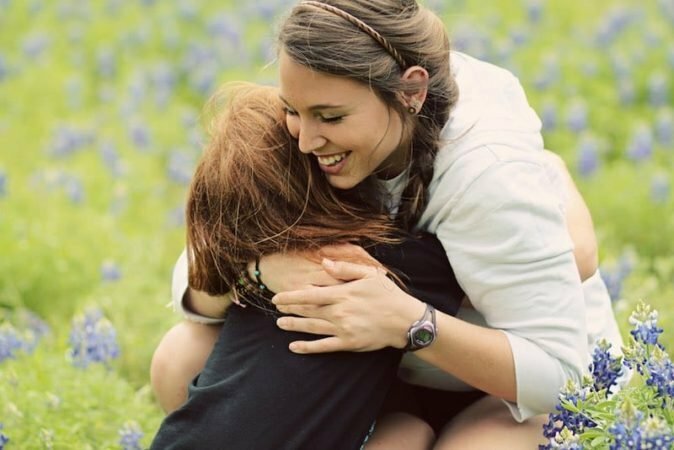 Throughout my youngest child’s senior year, I have had the strange experience of memories popping unexpectedly into my head at the weirdest times. For example, a few months ago, while washing dishes, I looked out the kitchen window into the early evening of our backyard, and remembered a time, eight years earlier, when our oldest, our son, was a senior. He had pulled into the driveway quickly, like teenage boys do, but instead of rushing into the house and throwing open the refrigerator, he stopped and joined a quick game of pickup basketball with our youngest, who had been shooting baskets in the driveway. Parenting our son through his senior year had not been easy. He didn’t want to take the conventional path to college and adulthood, and his senior year, for me, was wrought with worry over his future. But that night, for a few minutes, he was just a kid, playing basketball with his 10-year-old sister, who thought her brother had hung the moon. Another time, last January, this same daughter, now a senior, sat in the living room, patiently explaining to her father and me the details of the senior spring break trip she had planned with friends. They were going to Chicago on the train, and they had secured four nights in a youth hostel, and it was going to be fine, and it was going to be safe, she said, smiling with excitement. Inadvertently, my mind shifted to a time when she was eight, her older sister 11. That summer our family had managed two vacations, one to the Rocky Mountains and one to Chicago. Our children had loved both trips. My husband and I, sitting in the front seat, shared a smile. I don’t remember where we were going, or why we were all in the car, but I will never, ever forget those words, spoken so intently by an eight-year-old to her sister, before either of them had entered the treacherous halls of adolescence. These memories, these slices of time that I nearly missed, have become my best mom moments. We all have them. Like our favorite candid photographs, they happen when we are most unaware, busy racing through life, leaning towards the next important thing. But now, as I face a truly empty nest, I value these memory pictures more than ever. Logically I know that there will be more mom moments ahead. Significant ones, like dropping our youngest off at college for the first time. Graduations, holidays, weddings. And maybe someday, if we are fortunate, grandchildren. All these experiences will be comprised of important and lasting moments. But my favorite memories will always be the unexpected ones. An impromptu pizza picnic in the family room on a tired Saturday night. Two girls giggling while grocery shopping, hanging on to the sides of the cart. Late night talks in the kitchen over a tub of cookie dough ice cream and two spoons. These are some of what my children have given to me, this vast array of memory pictures to revisit. Whenever I’m lonely for their sounds, their energy in the house, I will just sift through the snapshots in my mind, and know that sometimes, somehow, in our fumbling attempts to parent these three unique individuals, it all worked, and magic occurred.